It’s that wonderful time of the month when we all become psychics and get to peer into the future. Unfortunately for us we only get to view a small bit of the surely great comics coming our way in just 3 months time. Allied with evil! 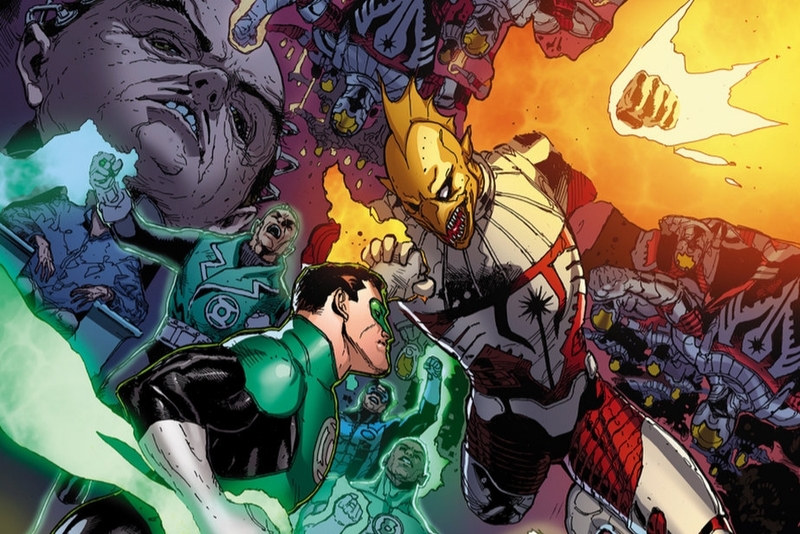 With all hope failing, the desperate Green Lantern Corps must ally itself with the monstrous Hector Hammond against the unstoppable might of the Darkstars. It’s a suicide mission straight to the homeworld of the Controllers’, the puppet masters pulling the Darkstars’ strings. Who will survive? Get your rings charged to 100 percent for the penultimate chapter of “Darkstars Rising”!